Spread the love! 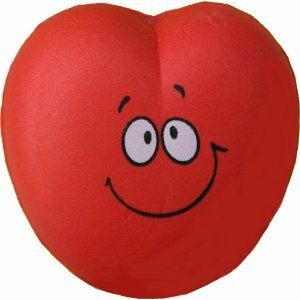 Our Smiley Heart Topper can be pushed directly onto your aerial to help you find your car in the car park or use the free spring provided and turn it into a Wobbler for your desk/dashboard. This Topper is a flat design with the image on one side only. It's approx 5cm across x 1.5cm thick and is made of high density foam. I should have asked for the ones to fit a fatter aerial, so I'm using them as wobblies instead,my fault but still fun to see. Thank you.